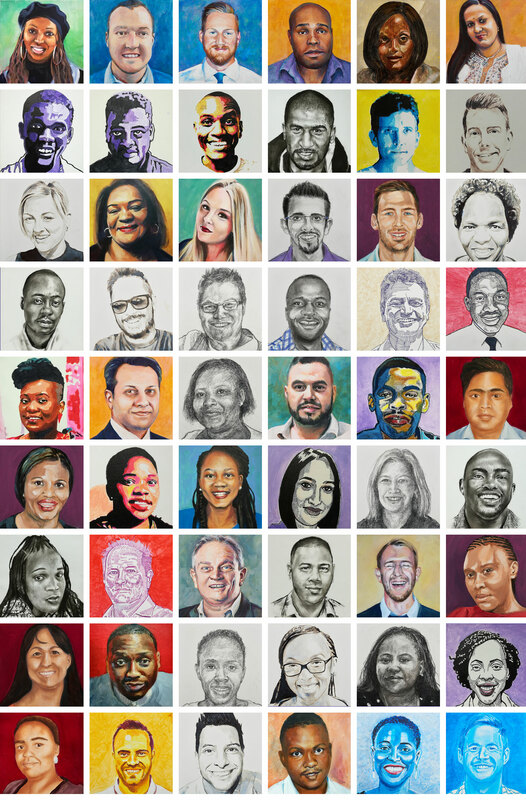 Working with various South African artists and as part of our support of Business Arts South Africa, each Purplista (Purple team member) has their portrait painted. 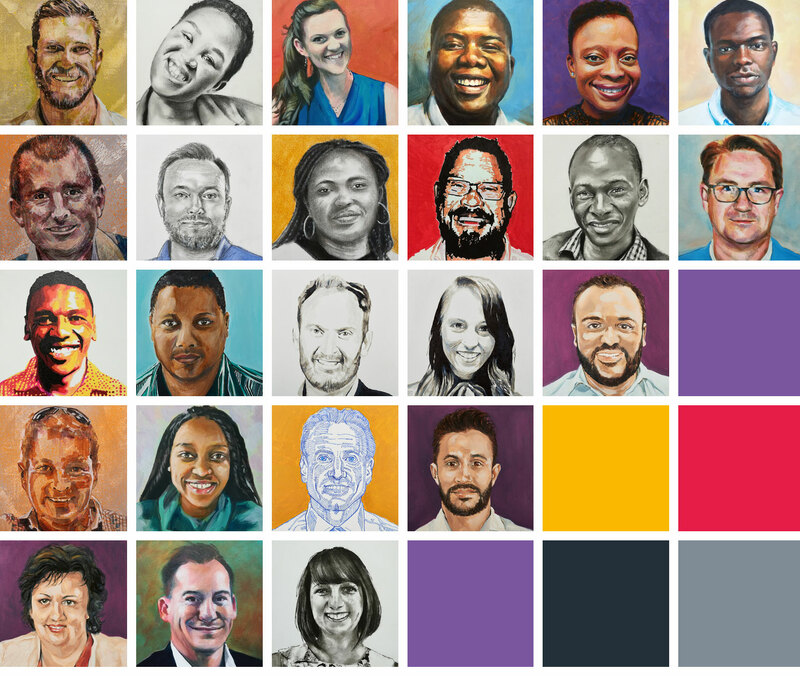 These portraits are beautiful individually, but even more spectacular when all are together – combining various artistic styles and showcasing the strength and diversity of our team. When team members leave, they take these portraits with as a gift. While we are justifiably proud of our products and our innovation, we know that it is our team and our clients who make us truly special. Strategy is culture and culture is a powerful blend of various personalities. The values of our team are closely aligned to our company values. Each Purplista brings their special flavour and interpretation of our culture to everything that they do, but at the heart is our burning passion to empower all South Africans with financial dignity. Our people are empowered to fail. It is only through failing and pushing boundaries, that real success happens. Thank you Team Purple! Purple Group Limited, a company listed on the JSE, is an authorised Financial Services Provider, FSP No: 46315. Any material shared or displayed does not constitute financial advice. Should you require financial advice, please consult your financial planner. Please click here for more info about our licences. Please click here for more info about our Conflict of Interest Policy. Please click here for more info about our Complaints Procedures. Please click here for more info about our FAIS Statutory Disclosuress. Please click here for more info about our (PAIA) Promotion of Access to Information.